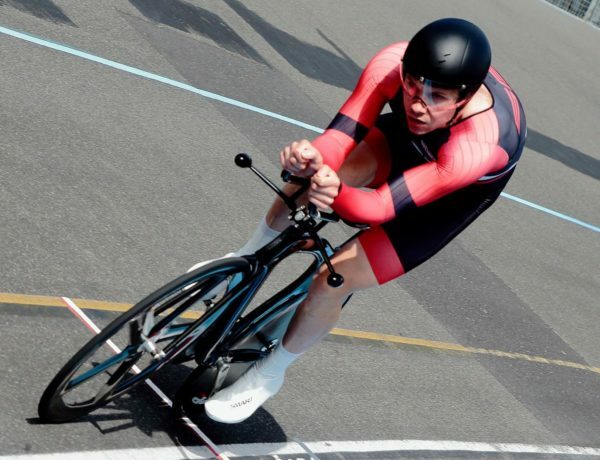 Marcus Christie and Eileen Burns have taken the individual pursuit titles at the National Track Championships. 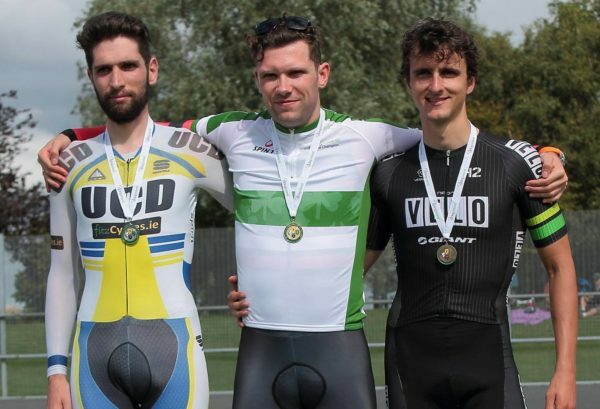 The two top road TT riders have taken their power onto the Sundrive Road velodrome in Dublin with a Midas touch. And both of them topped podium line-ups of real quality. In the men’s race, eventual winner Christie (Performance SBR) was fastest in qualifying. His 4.46.877 was well over one second ahead of Ian Richardson’s 4.48.077. 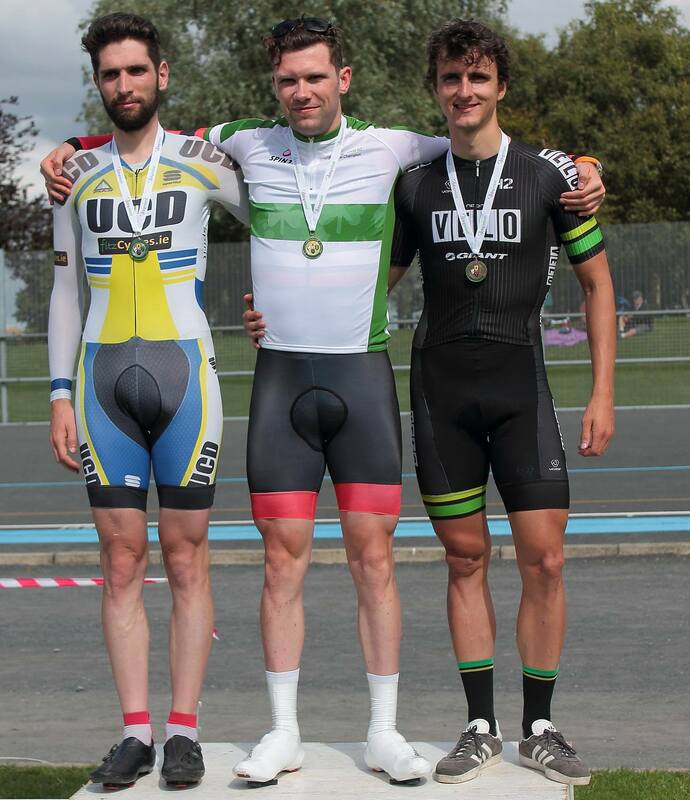 National criterium champion Marc Potts was 3rd and top track rider Darragh Zaidan was 4th. In the gold medal ride-off, both Marcus Christie and Richardson went faster than they did in qualifying. 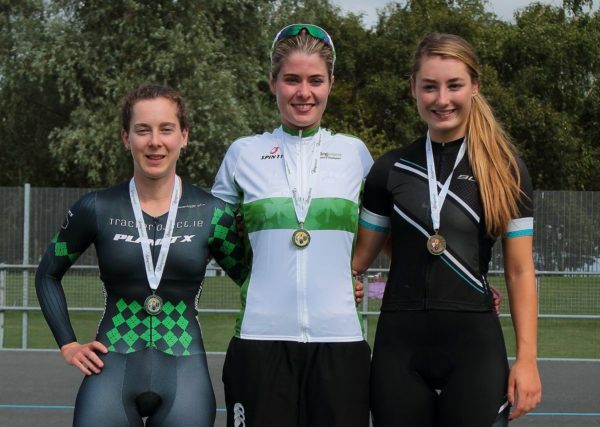 But Christie still had the upper hand on the UCD-Fitzcycles man. Christie clocked a 4.45.180 to Richardson’s 4.47.394. 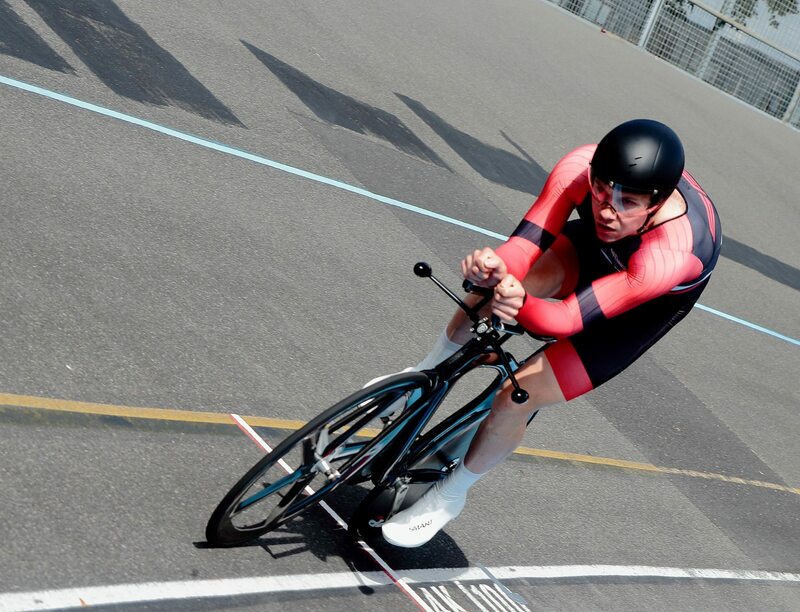 Likewise, the bronze medal ride-off followed the pattern of the qualifying round; Potts (Neon Velo) faster than Zaidan (Arcane Cycling Team) to take the final medal. In the women’s qualifying, the battle was tight at the top. Eileen Burns was fastest, with 3.54.655. 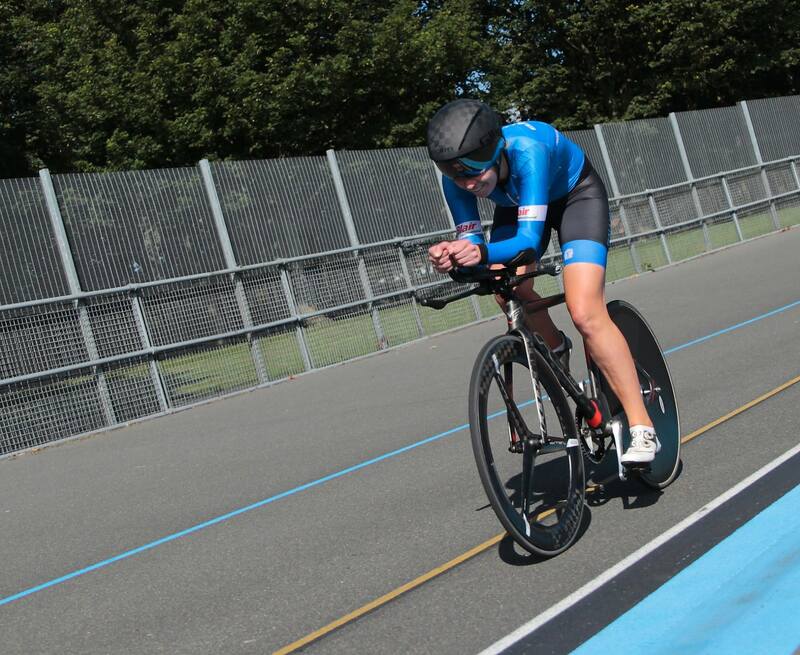 And Lydia Gurley (TrackProject.ie) was 2nd, on 3.54.909. 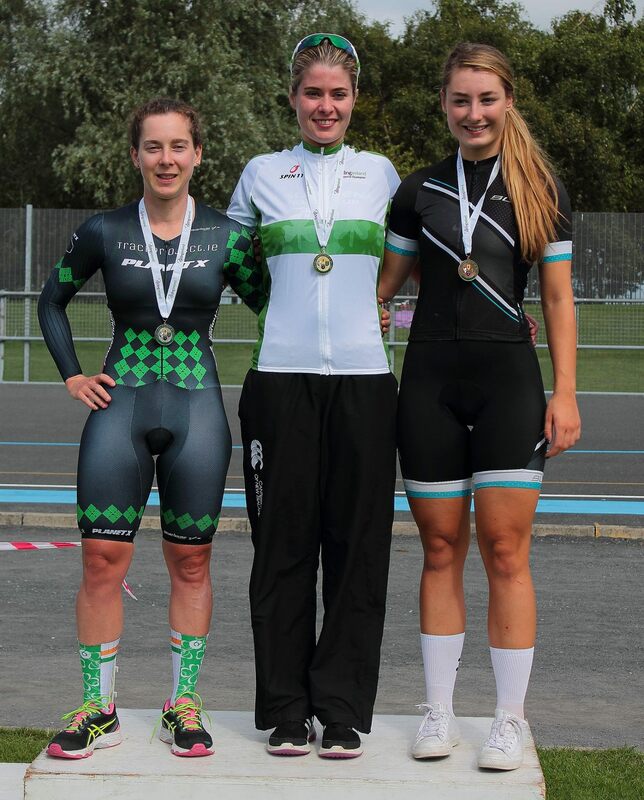 In 3rd place was Fiona Guihen (Black Rose Racing) with 4.05.590. And Mia Griffin (Talent Transfer Team) was 4th with 4.07.875. But unlike the men’s event; the medals did not follow the qualifying pattern. Eileen Burns showed real class in going almost two seconds quicker in the gold medal ride-off that she had in qualifying. Her 3.52.870 was well over two seconds quicker than Gurley and she took gold. But in the ride-off between Griffen and Guihen, it was Griffen who got the better of her rival. 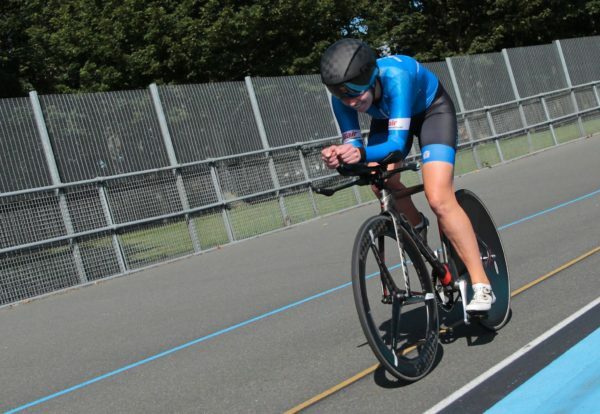 That was despite being slower in the qualifying and so she took the bronze.